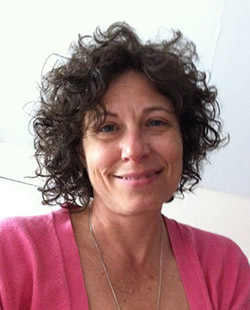 Lisa Meloncon is an associate professor of technical and professional communication. Dr. Meloncon specializes in rhetoric of health and medicine (RHM), disability studies, and programmatic issues in technical and professional communication. Her award-winning research has appeared in journals such as Technical Communication Quarterly, Technical Communication, and the Journal of Technical Writing and Communication, as well as numerous other journals and edited collections. Dr. Meloncon is the founder and coordinator of the biennial Rhetoric of Health and Medicine Symposium (medicalrhetoric.com), and her research in RHM includes work with disability and embodiment, an historical study of vernacular healing, and understanding the impact of place on healthcare and communication. In disability studies, she focuses on the importance of merging theory to practice and was the first to call for a specific integration of disability studies with technical communication as a way to move the theory of disability studies into practice. Dr. Meloncon’s programmatic work in technical and professional communication examines curricula as a way to define the field, and she was the first in the field (along with her collaborators) to examine the status of contingent faculty. She has also started to look closely at research methodologies in the field to include the ethics and practices of research study design. My goal as a graduate faculty member is to help you find your voice, your vision, and your path. While students enter a graduate program with an idea, or several or just a vague sense of something, my job is to assist you in finding your way into who you want to be as a teacher and a scholar. The graduate program at USF understands that not all students have the same goal so our program is focused not only coursework and content knowledge of the field, but preparation to help you understand the higher education landscape and figure out where you want to be in that landscape. Please feel free to email me if you have questions about the program.